This floor lamp is a departure for us, but we just couldn't resist its exceptional design and presentation. 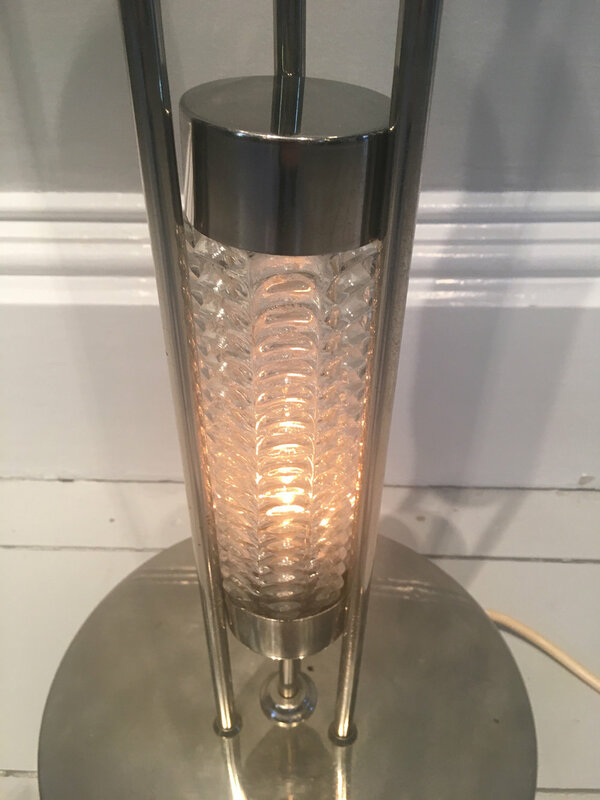 The lamp has a chrome base and stem with three separately-lit vertical bubble glass sections that can be lit alone, in tandem with, or without the lights at the top. Made by the German company Besigheimer, the design is classic 1970s and would be perfect adorning a contemporary library or in the corner of a reading nook. 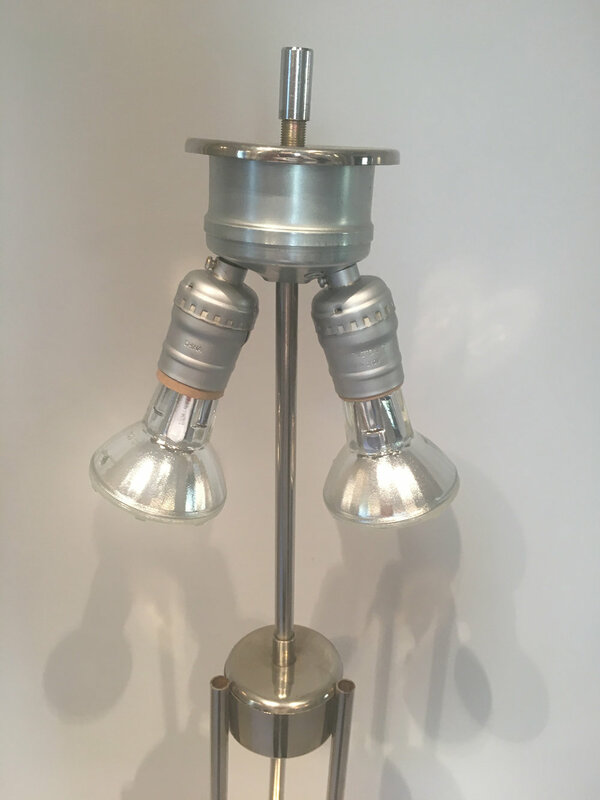 Rewired for the US, this lamp is sold without a shade but would look stunning with a black linen cylinder. Overall condition is excellent with one tiny and barely visible dent to the base.